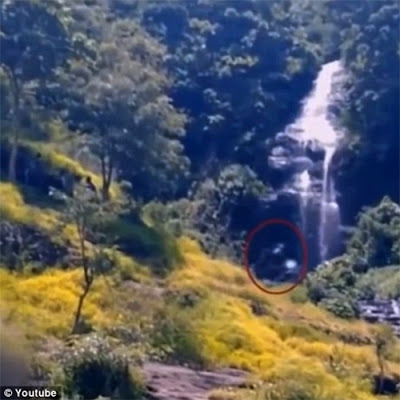 It’s claimed that this footage could show the mysterious creature known as Bigfoot - despite it being taken in Asia. Sightings of the beast usually come from North America, but this lasted video was shot in Indonesia. The ‘Sasquatch’ can be seen roaming through the countryside against a back drop of exotic mountains. The version of the video takes the 28-second clip and runs through it several times at different speeds. The description attached to the video stresses that Bigfoot is mostly a North American phenomenon. This is true, but mysterious hairy bipeds are not uncommon to Indonesia. Indonesia has had many sightings of shorter hairy bipeds known as Orang Pendek. Cliff Barackman has worked with Adam Davies to study these alternate bipeds for several years. On Cliff's Website, you can find tons of info about the Orang Pendek including About The Orang Pendek, Orang Footprint Data, and even some possible vocalizations.